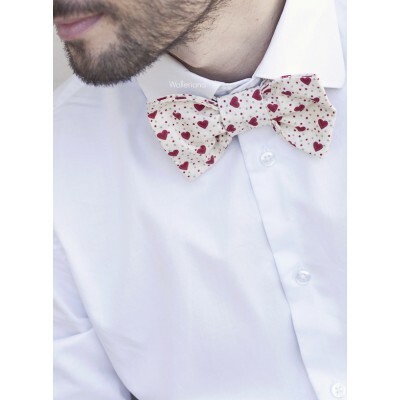 blue unisex bow tie with heart pattern. 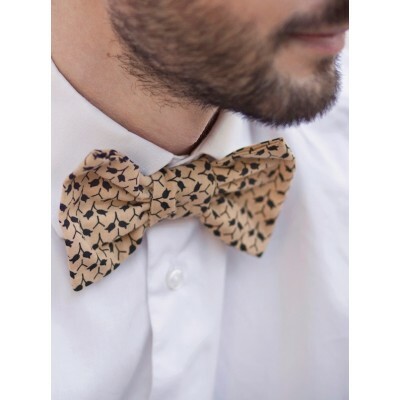 Stylish bow tie for women. 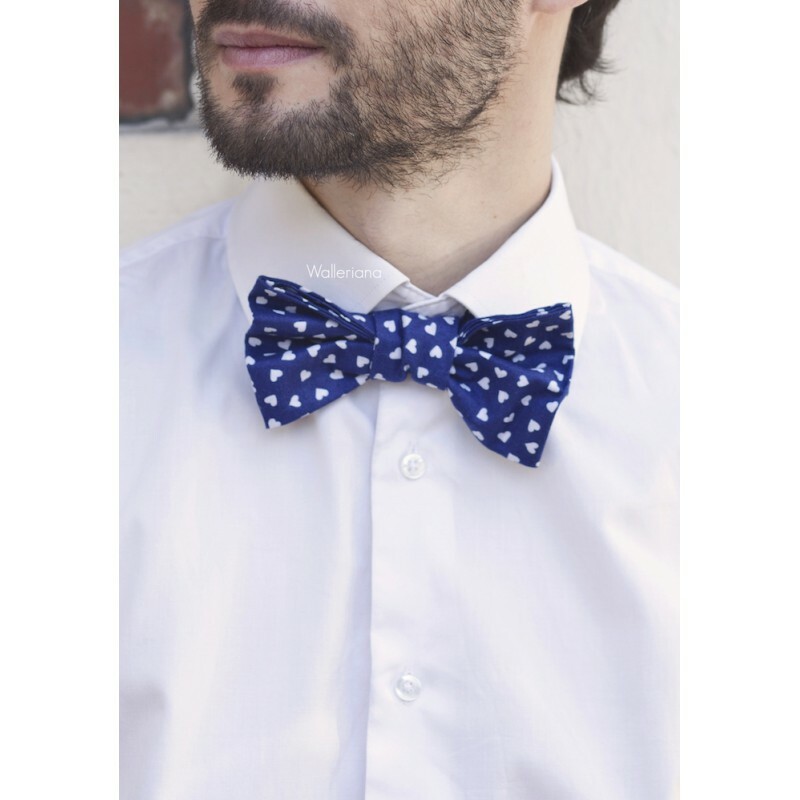 Valentin is a cute ready-to-wear unisex bow tie in deep blue cotton with little white hearts, from the bow tie collection "Le Palois".